Hello dear artists! 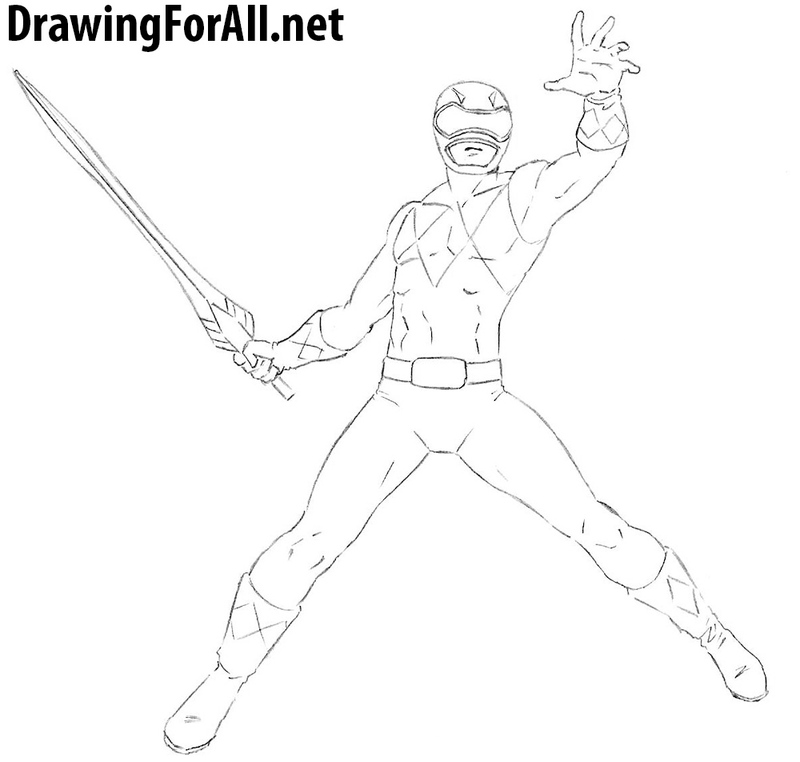 Today we present to you the first lesson on how to draw a Power Ranger on our website. As you have already noticed, this lesson will be made in the anime style. So, let’s start with the skeleton. First of all mark the head in the form of an oval, then the spine, the thorax and the pelvis. 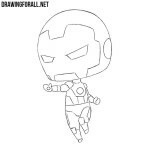 With the help of simple lines sketch out the arms and legs. 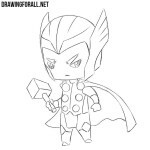 Draw the outline of the helmet. Sketch out the torso tapering at the waist. 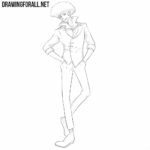 Next, with the help of the cylinders sketch out the arms and legs and with the help of circles sketch out the shoulders, elbows and knees. Let’s proceed to the helmet. It is very unusual. At first draw the glasses, then the opening of the mouth (although in fact it is not an opening ) and mouth inside. 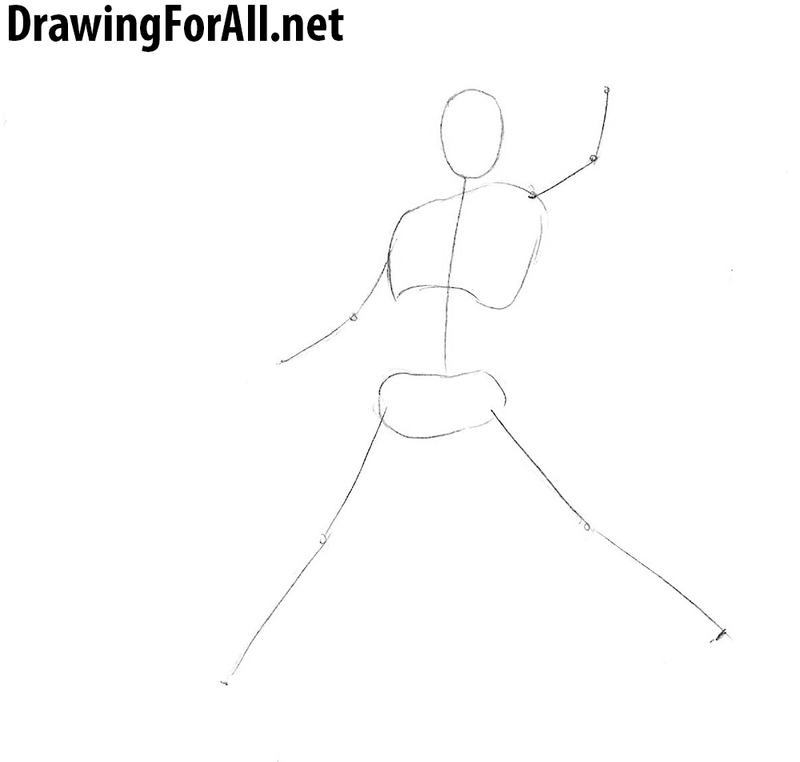 Draw the pectoral muscles, trapezoids and abdominals. 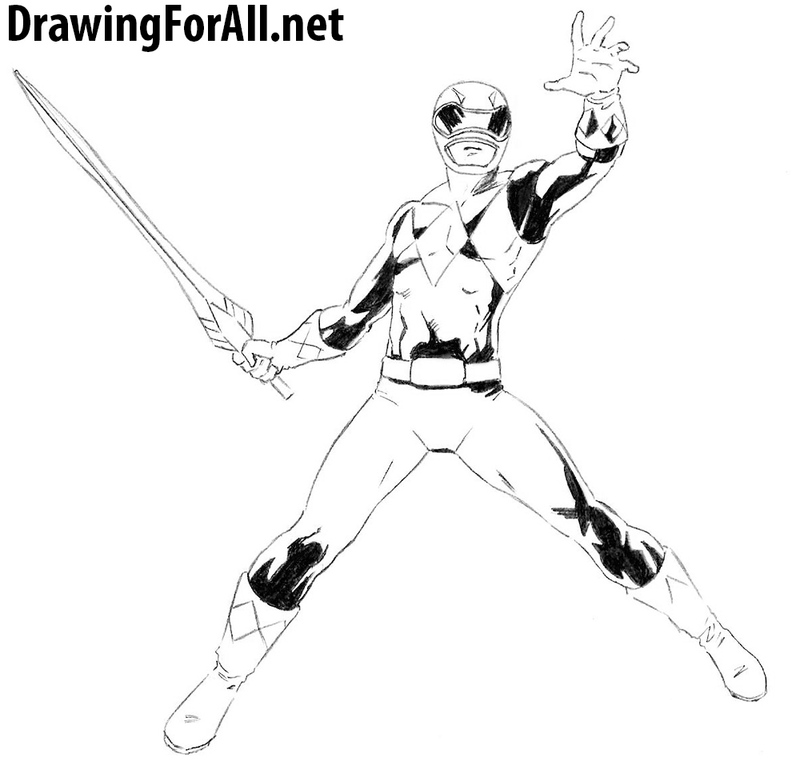 Erase all unnecessary lines from the torso of our Power Ranger. Now let’s get to the arms. 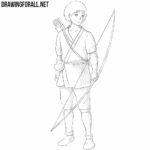 Carefully draw out the arm muscles, such as deltoids, biceps, triceps and forearm muscles. Next draw the gloves and sword. Now we do all the same actions but with the legs. Draw the muscles of the legs, such as quadriceps and calf muscles. 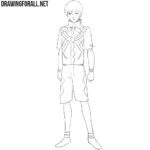 Next draw the knees and shoes. 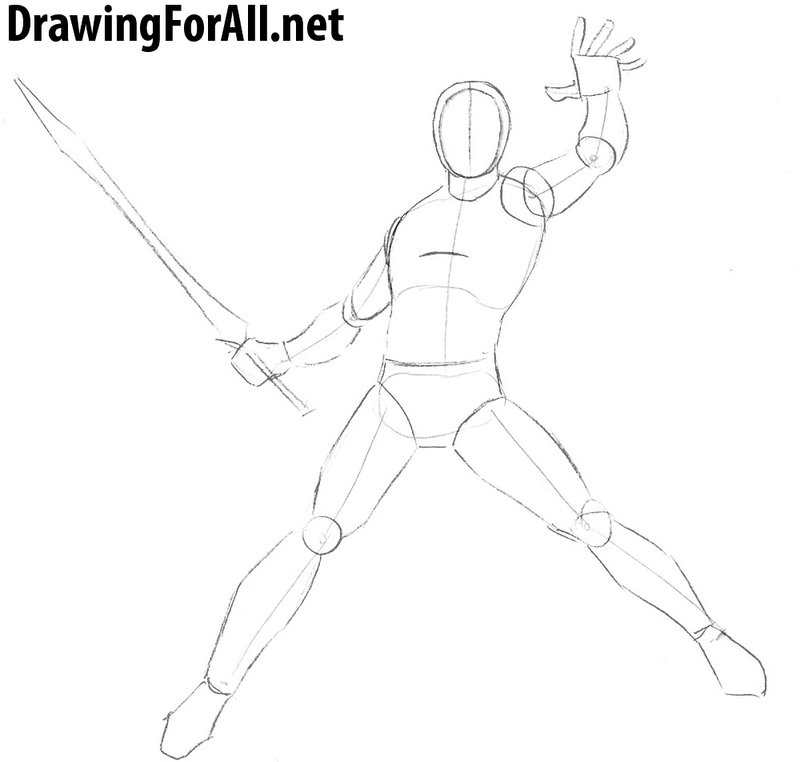 At the end of this step erase all the unnecessary lines and sketch out some folds. A very simple step in which we draw some very simple details. Using intersecting lines draw rhombuses on the chest, gloves and boots. It’s time to add shadows. Shadows will be drawn in the style of manga and comics. First draw out the outlines of the shadows, then paint them completely. 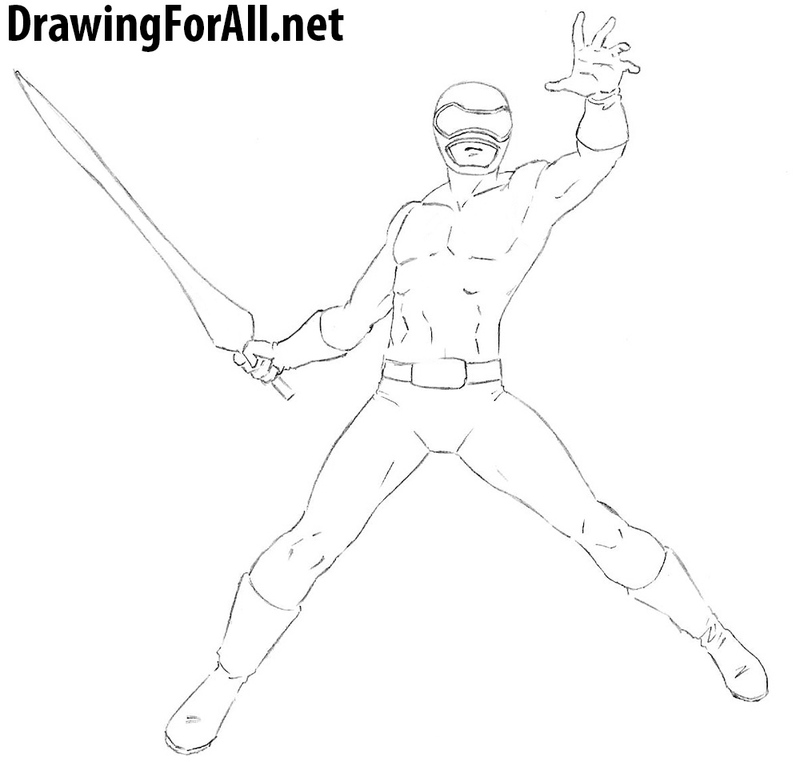 The drawing lesson on how to draw the Mighty Ranger came to an end. 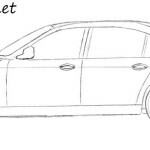 Do not forget to share this drawing lesson and subscribe to us on social networks.